Hot chocolate is socially acceptable at any point, of course, but I feel like it is obligatory during the holiday season. I don't even like hot chocolate and I find myself craving peppermint hot chocolate come December first. And it's a proven fact (in my head) that holiday drinks taste better out of themed mugs. Also, mugs double as a fantastic gift because everyone needs them, but nobody wants to buy their own. 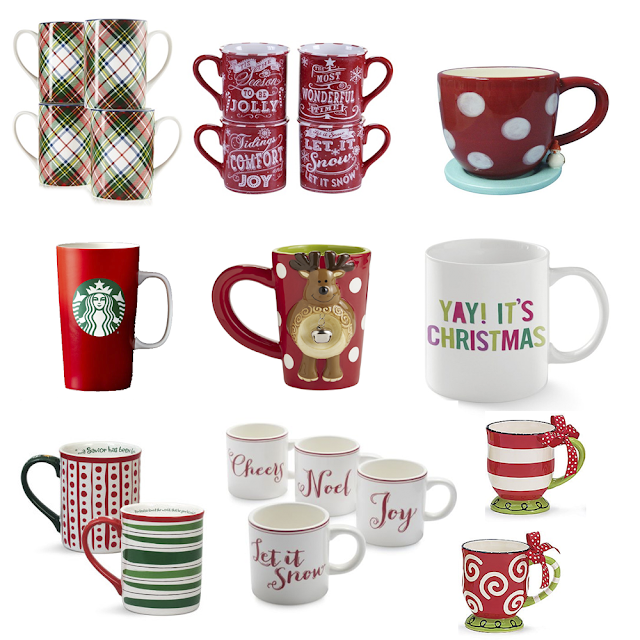 These nine mugs are obviously all holiday themed, a gift from me to you on the ninth day of Christmas.